TROULOS. 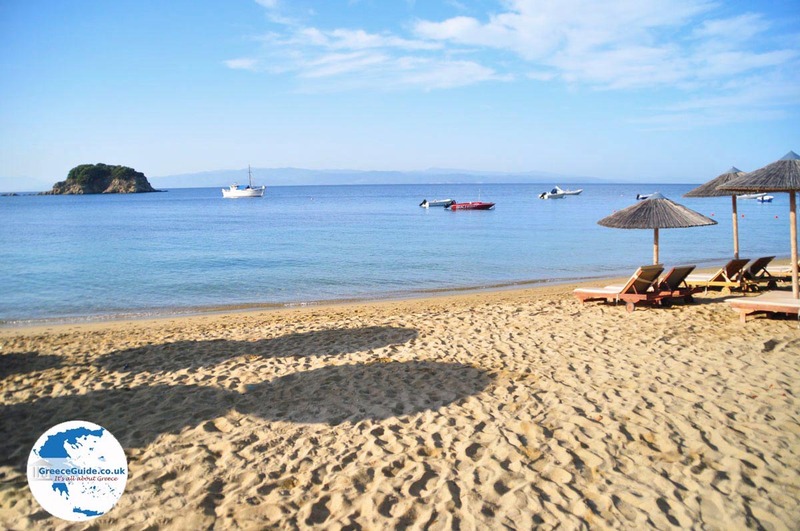 Troulos is a lovely seaside resort on the south coast of the greek island of Skiathos. 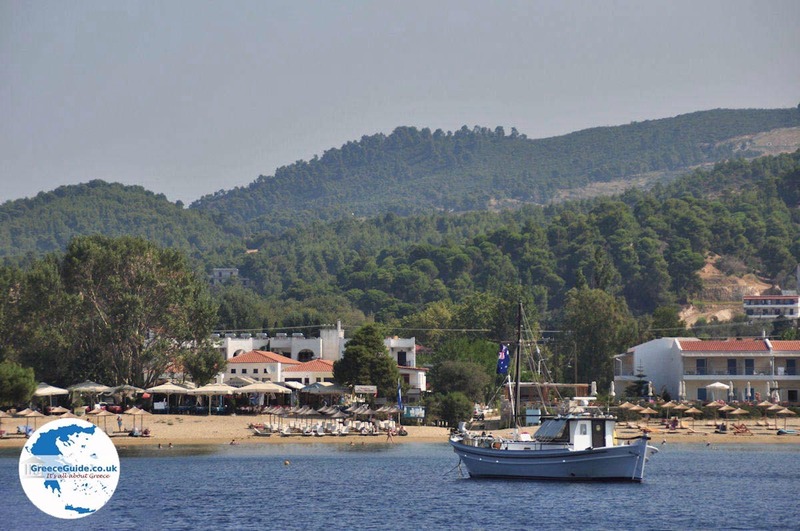 It's not really a village, rather it is a hamlet that bears the name of the beach. Troulos literally means "dome". 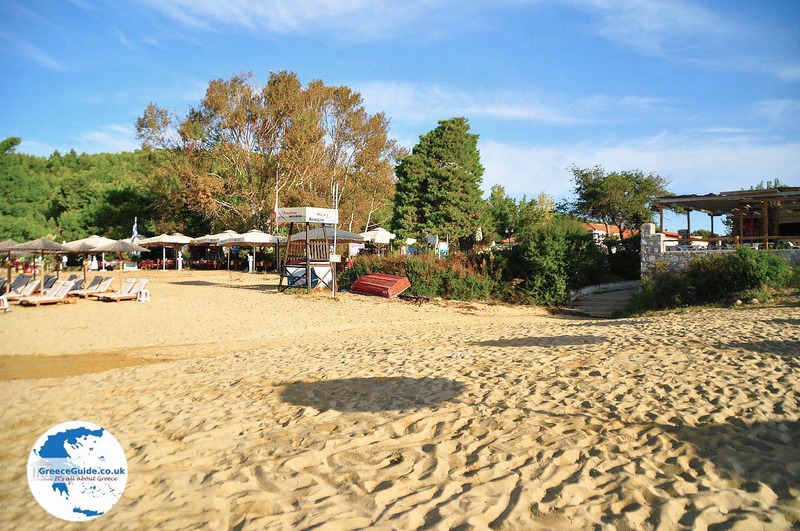 At the beach stands the ancient church of Agia Sofia, which has a dome. Through this dome the beach finally got the name Troulos. 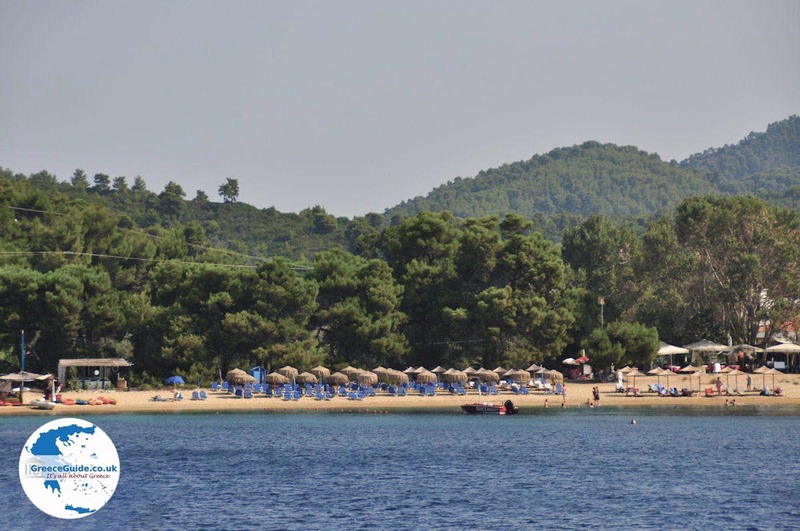 Like the other beaches of southern Skiathos, Troulos also has a sandy beach and is surrounded by a lot of olive trees and tall pines. 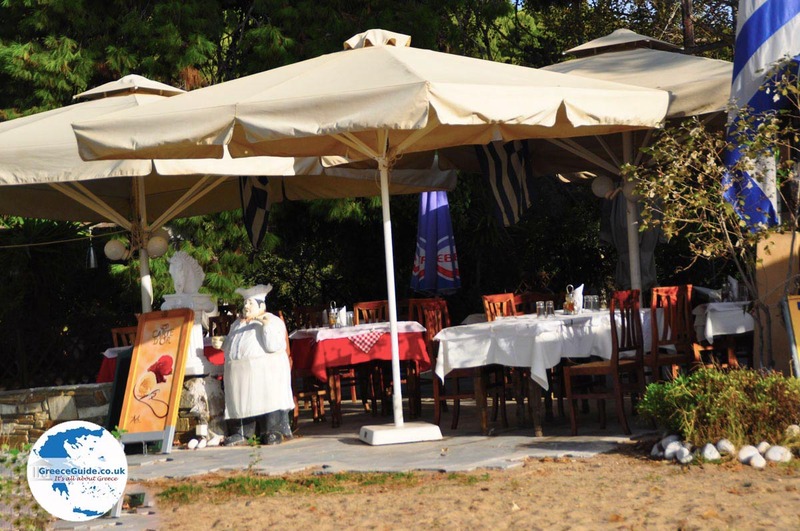 On the beach are several restaurants and beach bars. All sorts of water sports such as canoeing and water skiing are available. 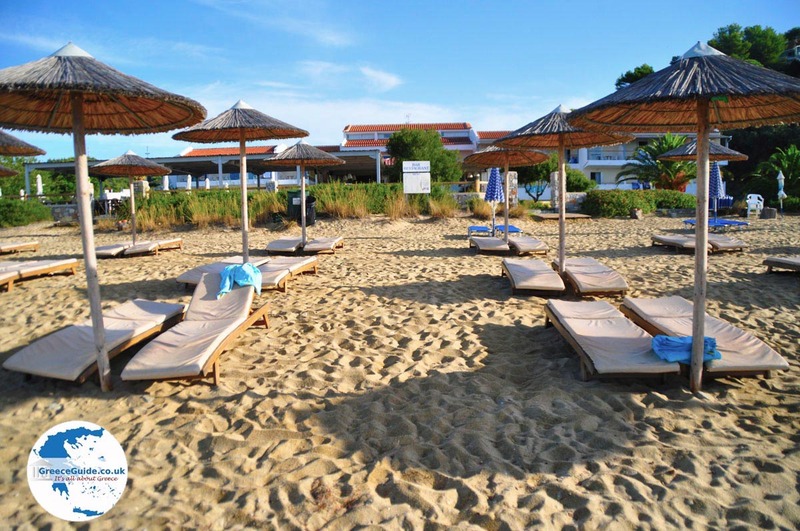 The beach is very well cared for and there are sunbeds and umbrellas for rent. 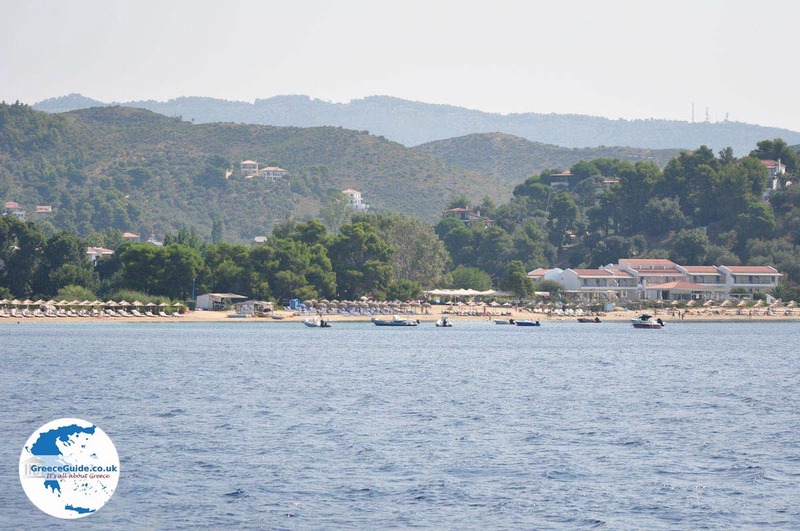 Exactly opposite the beach are the islets Troulonissia. You can visit them by renting a boat. 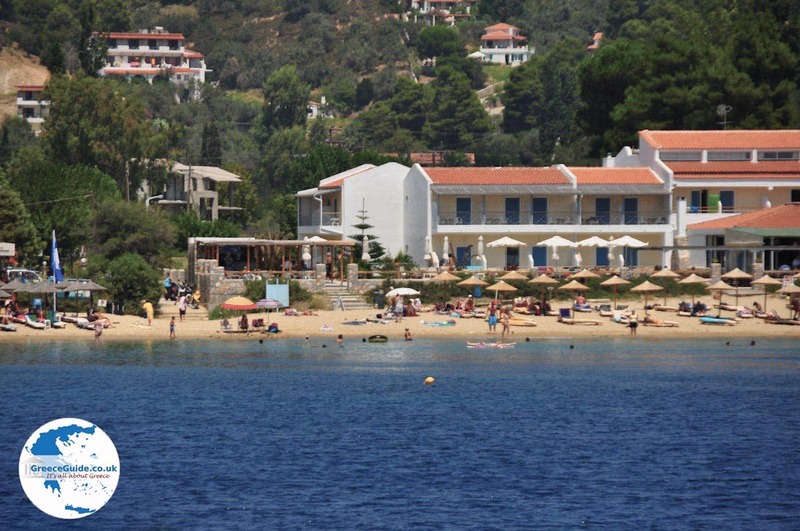 Troulos has about 150 permanent residents and is easily accessible by bus from Skiathos Town. 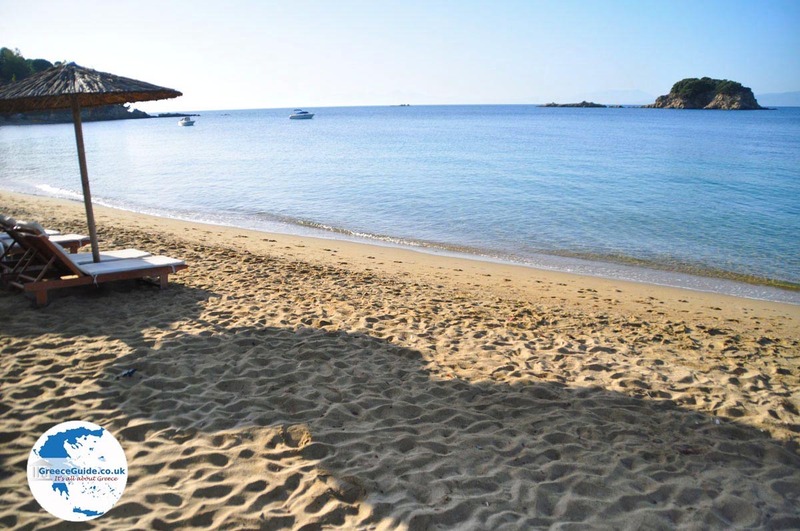 Every hour there is a bus, also stopping at several beaches on the south coast. Around the whole area are many hotels and apartments in all price ranges. 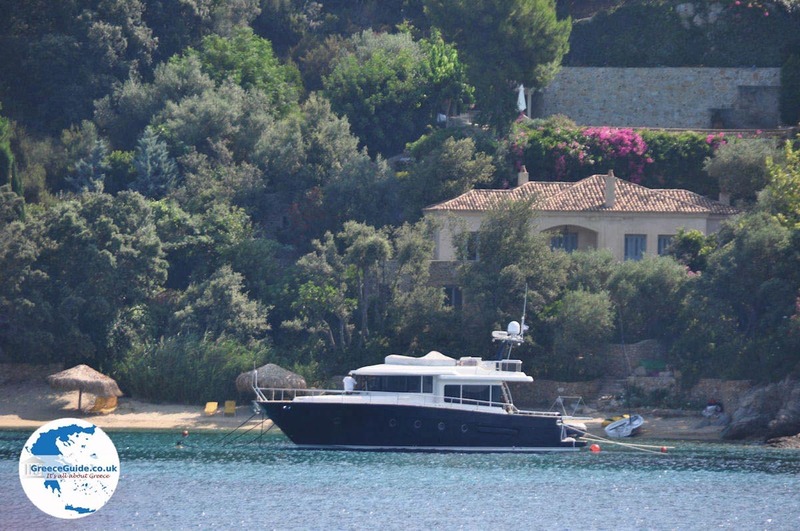 There are also rooms and villas for rent. 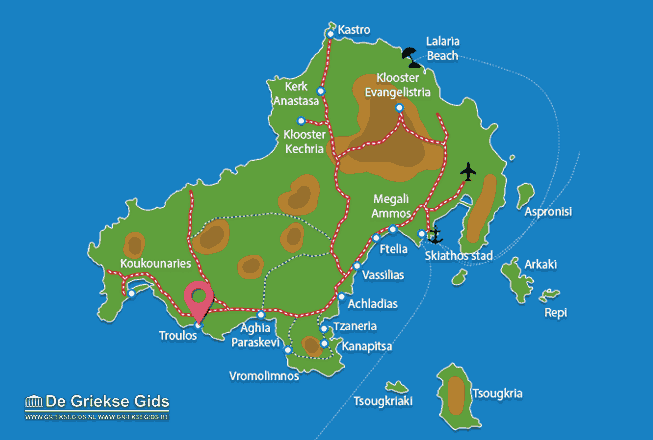 Skiathos: Where on the map is Troulos located?